Styled with georgette short . Your vitamin-D capture system. 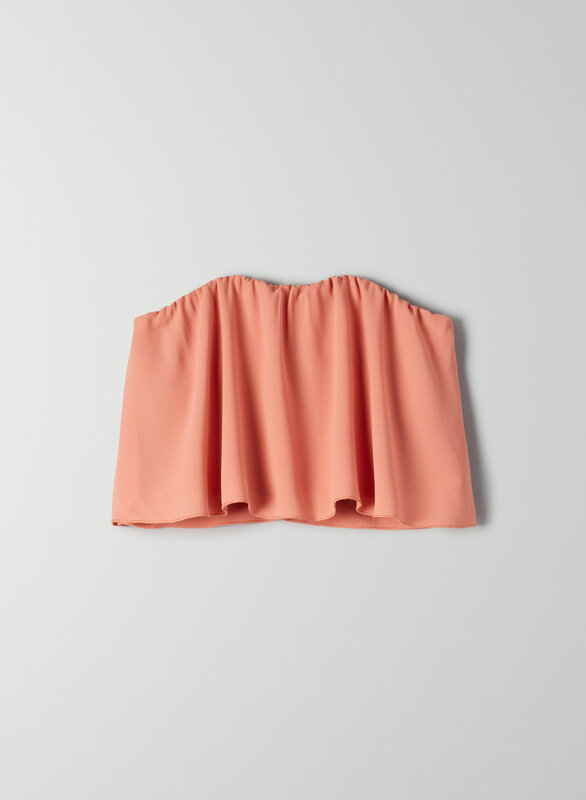 This is a cropped tube top with a flounced silhouette and smocked lining. This version of the Bonaventure is made with a lightweight Japanese crepe that drapes beautifully.